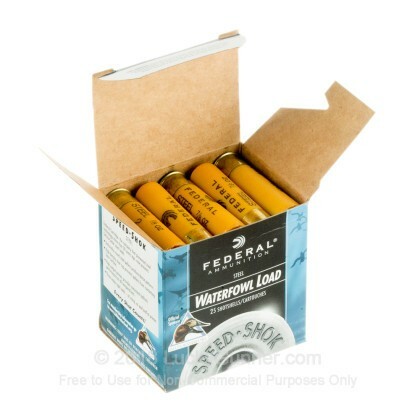 These 20 gauge shotshells from Federal's Speed-Shok series fire large #2 steel birdshot pellets for stronger performance against the larger species of duck and goose. 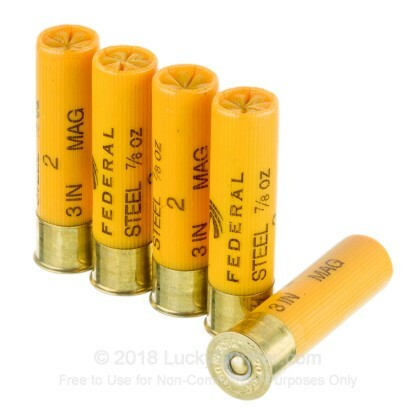 Each 3" shell in this box of 25 fires a 7/8 oz. payload at a muzzle velocity of 1,300 feet per second. 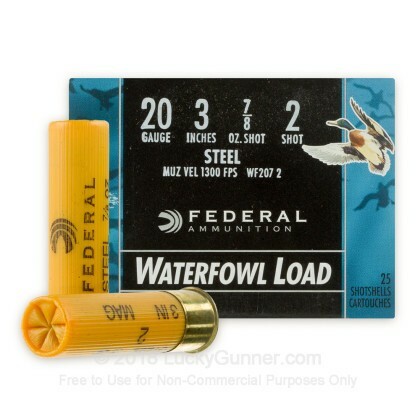 The use of larger shot gives these shells better penetration and downs birds more reliably. 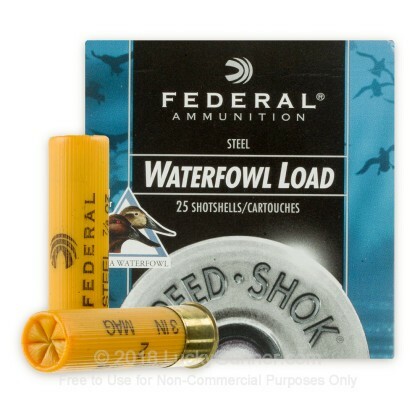 Steel shot is a necessity for hunting waterfowl because lead can contaminate the water of sensitive aquatic environments. 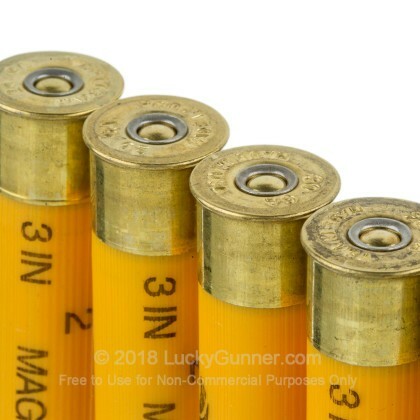 Although the #2 shot used in this ammunition is larger than most sporting loads, it is still not adequate for self-defense. 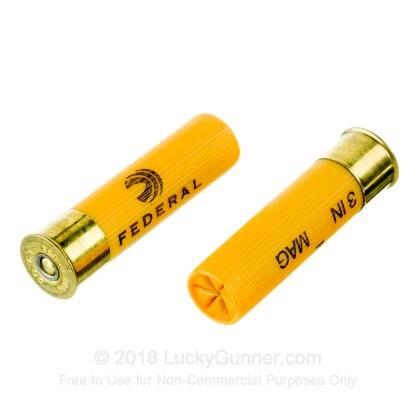 Check out our buckshot loads if you want to equip your shotgun for home defense. This ammunition is loaded in Anoka, Minnesota. Federal has called Anoka home through multiple changes of ownership and operates a 175 acre manufacturing plant there.